Today in Adelaide Abbe May and Artistic Director Slava Grigoryan launched the Adelaide Guitar Festival. The 2018 festival features 20 international acts and five world premiere performances and will run from August 9-12. Abbe will perform and host a night of female performers called Clam Jam. 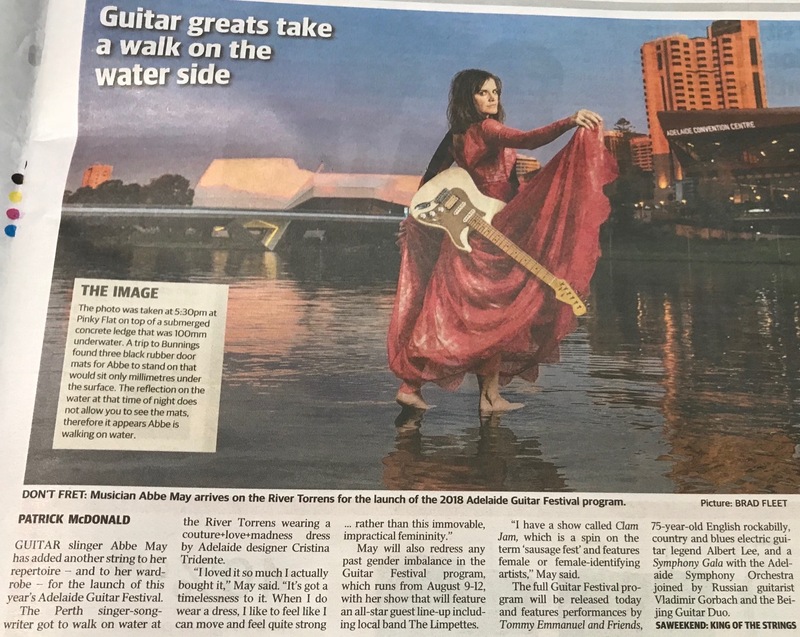 Also performing at the festival Grammy winning legend Albert Lee, Aussie legend Tommy Emmanuel and the cutting edge artistry of Kaki King.